Henry Holt and Co. (BYR), 9780805095777, 28pp. 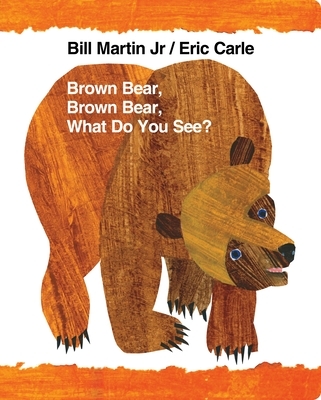 With more than two million copies sold, Brown Bear, Brown Bear, What Do You See? has opened up a world of learning to a generation of children. For this edition, created for the twenty-fifth anniversay in 1992, Bill Martin, Jr., restored his text to its original wording. And Eric Carle created all new pictures—based on the originals, but clearer, brighter, and truer to the colors they represent. Bill Martin has been devoted to writing children's books for more than thirty years. He has a PhD in early childhood education and he has long been a proponent of using rhyme and rhythm to teach young children how to read.